If you're looking to make your brand message really stick around, use our custom printed Vinyl Stickers. Printed in full colour to the front face so you can have as many colours, tints and gradients in your design as you would like! 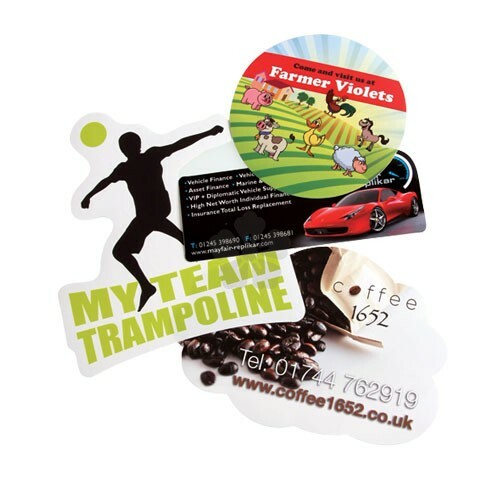 These stickers can be applied to most surfaces and are custom cut to any shape within 25 sq cm. Plenty of other sizes are available - POA. 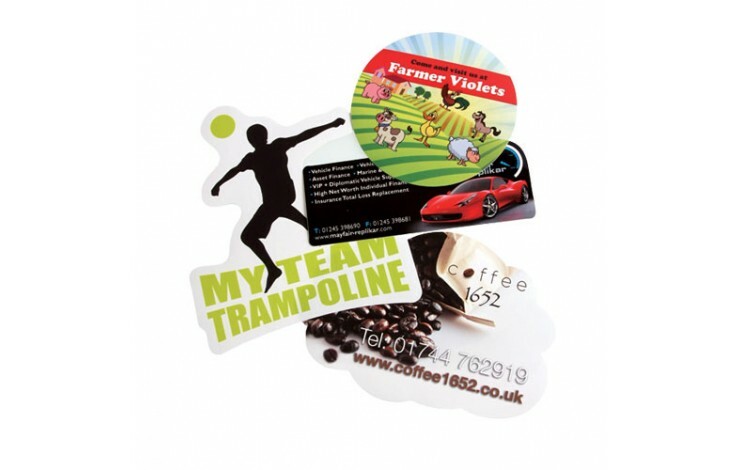 Available with adhesive or self-cling finish. Custom cut to any shape - price depends on size.